Welcome to Oglethorpe, where brilliant minds are ignited by the bright lights of Atlanta. OU is a truly unique university that offers the best of both worlds: a close-knit campus in a beautiful park-like setting—all just steps away from a vibrant big city. This is where lush lawns and gothic architecture converge with the bustling sidewalks of Atlanta. Where you’ll discover first-class academics and thriving athletics. Where you’ll forge lifelong friendships and establish powerful career connections. 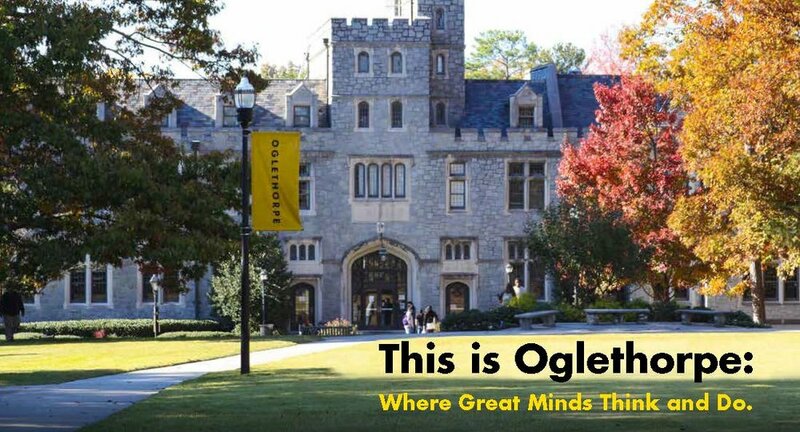 This is Oglethorpe. This is where you belong!